Outgoing Microsoft CEO Steve Ballmer was quoted, “By the early part of this year it was clear to me that perhaps acquisition would be a way to accelerate.” He wasn’t specific as to what they were accelerating, but it seems reasonable to presume that this is an acceleration of growth and, thus, Microsoft’s marketing war with Google. Here’s how things match up in the IT weapons race, including new “ordinance” Microsoft secures via the acquisition of the Nokia Devices and Services business and their related patents. You’ll all have your own opinions, of course, but take a look and see, which you think, will ultimately conquer the other – and in which sectors? 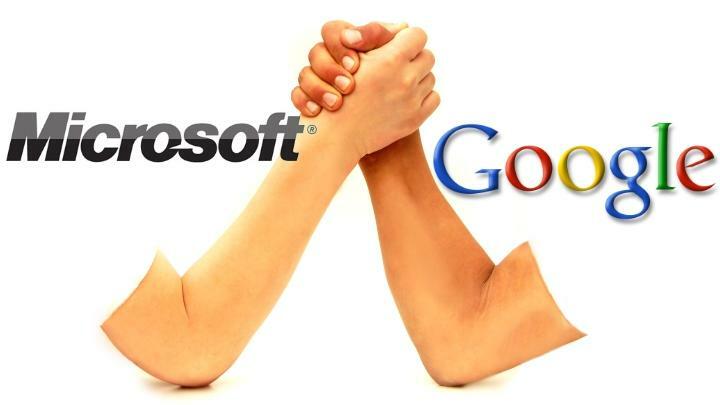 It was Bertrand Russell who noted that “War does not determine who is right – only who is left.” And given that Microsoft’s strategy for combatting competitors has been most focused and effective against single competitors (including robust challengers like Netscape and Lotus), we’ll have to wait see how these battles play out in the near-term. And, ultimately, who is left.